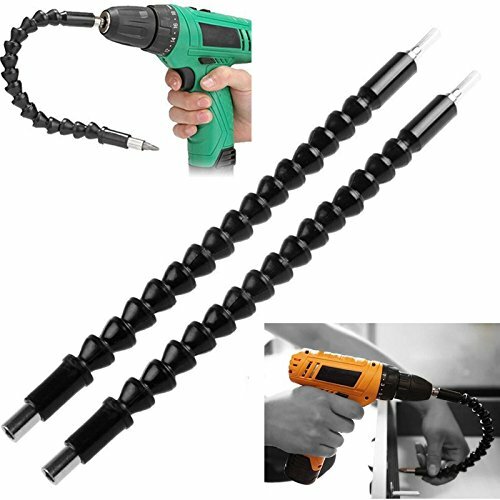 1 x Flexible Shaft Drill Bit Extension. Full length: 296mm, Hex shank: 6.35mm (1/4"), Inner hexagon head: 6.35mm (1/4"). This Flexible shaft can be used for general formula hand drill chuck, it can also be used for electric screwdriver. Flexible out shield protects your hand while inside shaft rotates. Bends,twist and turns to use drill into tight and confined spaces. If you have any questions about this product by MiLanNuo, contact us by completing and submitting the form below. If you are looking for a specif part number, please include it with your message.